MELVILLE, N.Y., August 2, 2017 – Canon U.S.A., Inc., a leader in digital imaging solutions, is proud to congratulate the team behind the National Geographic’s live television special “Earth Live”. The two-hour broadcast featured a live-production first, by using Canon’s ME20F-SH Multi-Purpose Camera along with a variety of Canon lenses, including the CINE-SERVO 50-1000mm T5.0-8.9 EF to show television viewers live images of illusive nocturnal wildlife from around the world at night, in color, without using artificial lighting. Hosted by award-winning actress Jane Lynch and award-winning television personality Phil Keoghan, the unprecedented two-hour event gave viewers an unfiltered, real-time broadcast feed to see Earth’s wildlife in various natural habitats with the use of 51 cameras shooting simultaneously in 25 different locations across six continents. The show premiered on National Geographic, Nat Geo WILD and Nat Geo MUNDO on Sunday, July 9, and aired in 171 countries and 45 languages. Working closely with National Geographic, executive producer Al Berman’s idea for “Earth Live” involved several locations that were in total darkness during the live production and those dark locations would either require lights that would disturb wildlife, or the use of infrared or thermal cameras, which didn’t suit Berman’s idea. It wasn’t until 2015 when Canon debuted the ME20F-SH Multi-Purpose Camera that Berman saw the opportunity to broadcast undisturbed nocturnal wildlife in color. 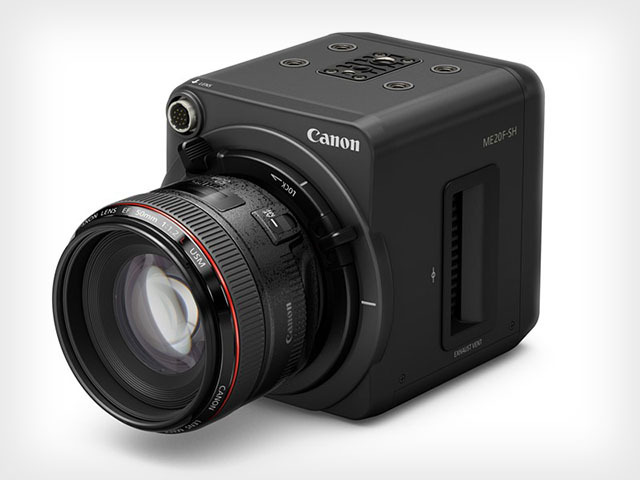 The announcement of this revolutionary four million ISO, full-frame sensor camera that can shoot full-color video in extreme low-light conditions, immediately caught the attention of Berman, who approached Canon U.S.A. with his idea. The Company’s technical support team worked closely with Berman and his crew to provide and test equipment to help bring this concept to life.